The Association of Small Bombs is an expansive and deeply humane novel that is at once groundbreaking in its empathy, dazzling in its acuity, and ambitious in scope. When brothers Tushar and Nakul Khurana, two Delhi schoolboys, pick up their family's television set at a repair shop with their friend Mansoor Ahmed one day in 1996, disaster strikes without warning. A bomb - one of the many "small" bombs that go off seemingly unheralded across the world - detonates in the Delhi marketplace, instantly claiming the lives of the Khurana boys, to the devastation of their parents. Mansoor survives, bearing the physical and psychological effects of the bomb. After a brief stint at university in America, Mansoor returns to Delhi, where his life becomes entangled with the mysterious and charismatic Ayub, a fearless young activist whose own allegiances and beliefs are more malleable than Mansoor could imagine. Woven among the story of the Khuranas and the Ahmeds is the gripping tale of Shockie, a Kashmiri bomb maker who has forsaken his own life for the independence of his homeland. A crowded market also begins everywhere at once, and Lajpat Nagar exemplified this type of tumult. A formless swamp of shacks, it bubbled here and there with faces and rolling carts and sloping beggars. It probably held four seasons at once in its gigantic span, all of them hot. When you got from one end of the market to the other, the wooden carts with their shiny aluminum wheels had so rearranged themselves that the market you were in was technically no longer the market you had entered: a Heisenbergian nightmare of motion and ambiguity. So the truth of the matter is that no one really saw the parked car till it came apart in a dizzying flock of shards. I found some of the rationale embraced by those responsible for the bombings to be illogical at times. I'm not a young male, a victim, a minority or a resident of an impoverished city, so my ability to relate to the bombers is certainly limited. Nevertheless, an author should be able to help readers understand unfamiliar points of view, and while exceptionally successful in achieving this in the first half, l I felt his efforts fell a bit short toward the end. The novel also takes readers' knowledge of issues in India such as the ongoing tensions between its Hindu and Muslim communities for granted, and the narrative could benefit from more context for Western readers. The Association of Small Bombs will likely find an audience in those who like well-written literary fiction set in today's India. (Reviewed by Kim Kovacs). Karan Mahajan’s The Association of Small Bombs urgently depicts the toll of terrorism on victims and perpetrators. A wise, searing, sculptural approach to the roots and aftermaths of terrorism and radicalization. . . . Mahajan has mastered a nonpareil 360-degree portrait of one of the most disturbing, least understood malaises of our time. Editor's Choice. 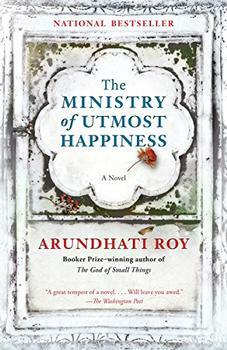 Wonderful. . . . Smart, devastating, unpredictable, and enviably adept in its handling of tragedy and its fallout. If you enjoy novels that happily disrupt traditional narratives—about grief, death, violence, politics—I suggest you go out and buy this one. Post haste. [A] beautifully written novel. . . . Ambitious. . . . Carries us deep into the human side of a tragedy. A psychologically intimate and stylistically compelling examination of the ripple effects of small acts of terrorism. . . . In a post-9/11 world, this novel should be considered a must-read. The architecture of the novel is brilliant in its literary exploration of the aftermath of small bombs. . . . Propulsive. . . . The dark humor keeps the novel lively rather than overdetermined. . . . Powerful, unsettling. . . . The Association of Small Bombs is a thing of loveliness—its structure and concept are a marvel. In his searing story, lives (and life itself) are subjected to close inspection and at times discombobulation. 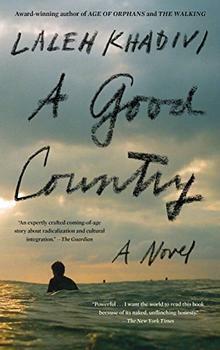 An engaging if plot-thick novel that's alert to the intersection of the emotional and political. Urgent and masterful, this novel shows us how bystander, bomber, victim, and survivor will forever share a patch of scorched ground. The Association of Small Bombs is a wondrous, devastating novel - packed with small wonders of beauty and heartbreak that are impossible to resist. Karan Mahajan is a virtuoso writer, and this is a wonderful book. A gripping, timely, and moving novel by a writer of enormous talent. With one sharp observation after another, Mahajan renders a picture of religious and political tension in Delhi that is as unforgettable as it is heartbreaking. "For all its unflinching - and unnerving - fatalism, The Association of Small Bombs is an unusually wise, tender, and generous novel. The Association of Small Bombs is an utterly brilliant book...Karan Mahajan is a writer to be admired. In The Association of Small Bombs, the 2002 Gujarat Riots become the rationale for a bombing as terrorists seek revenge against then Chief Minister (and current Indian Prime Minister) Narendra Modi. The incident began in the western Indian state of Gujarat on February 27, 2002. A train carrying Hindu pilgrims was parked at a station near Godhra, a city already known for religious tensions between its Hindu and Muslim citizens. Hindu activists began chanting religious slogans which attracted a crowd of Muslim protesters. A fight broke out between the groups and was quelled, but about 15 minutes later a fast-moving fire erupted in the train, resulting in the deaths of 59 people including 25 women and 25 children.